I have been saving beer bottles for many years. There are several hundred bottles on shelves in our basement. While looking at them recently, I was struck by some of the changes in labels from some of our favorite breweries. I'll be posting pictures of parts of the collection in the future. First up, Old Dominion Brewing Company. 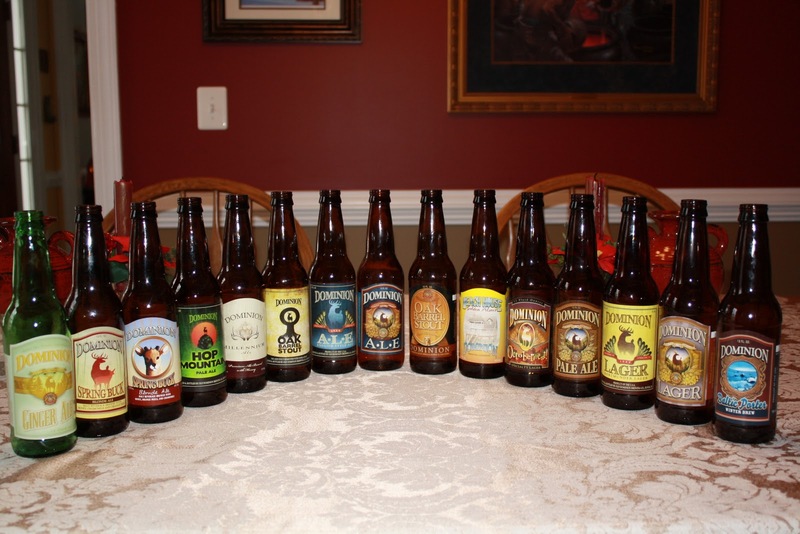 This is not representative of every beer produced by Old Dominion, but you can see some of the label variety. Note the Spring Buck, Ale, Lager, and Oak Barrel Stout label changes. Yes, that's a Dominion Ginger Ale bottle. 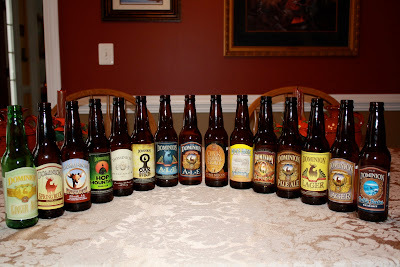 I hope you will enjoy seeing the variety of craft beer labels and bottles. At the very least, I'll have an excuse to get the bottles down and dust them off!